‘Tis the season for fresh strawberries! 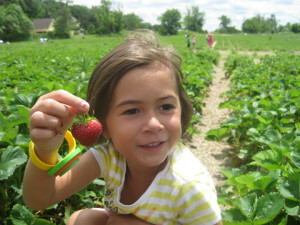 I have such fond memories of picking strawberries as a kid. 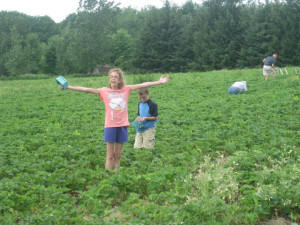 My mom would take us and I remember laying down between the rows, so nobody could see me eating my weight in berries! I would come back with an empty quart container, a drippy red chin and a FULL belly! Taking my own kids is a lot of fun too! They are excellent taste-testers! 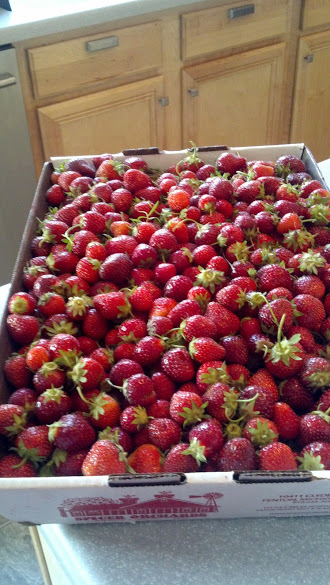 With 4 extra pickers, I usually come home with 10 million strawberries and then try to figure out what to do with them all! 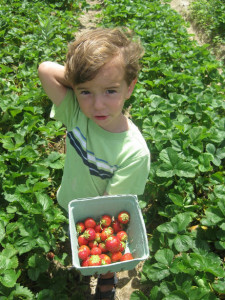 I like to make my grandmother’s strawberry shortcake recipe. I’ll usually do some freezer jam. Of course, we eat them fresh too! 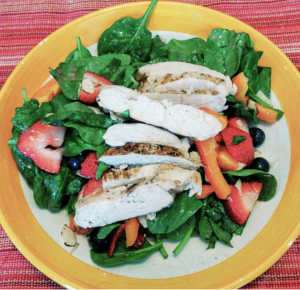 A tasty strawberry spinach salad is always a nice summer treat! I made this one the other day, topped with some grilled chicken. But what made the salad was this AMAZING dressing! OMG! It was SO incredibly delicious. The kids were seriously trying to DRINK it! (Not kidding). When I told them they couldn’t drink the salad dressing, they poured it on their plates and licked it clean! Oy! You could also make this with thawed frozen berries – but FRESH is best! 1. Place vinegar, oil, honey, salt, pepper, and strawberries in a blender; cover. Blend until smooth. And here is the salad recipe I used for the above salad. 1. 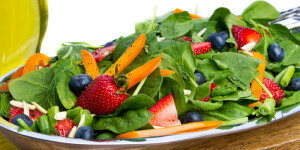 Combine spinach, bell pepper, blueberries, strawberries, and almonds in a large serving bowl; toss gently to blend. 2. 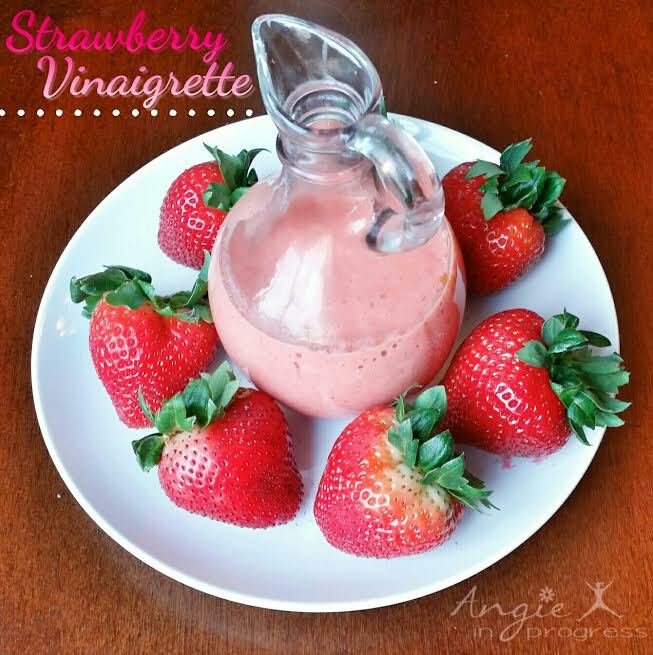 Drizzle salad evenly with Strawberry Vinaigrette; toss gently to blend.